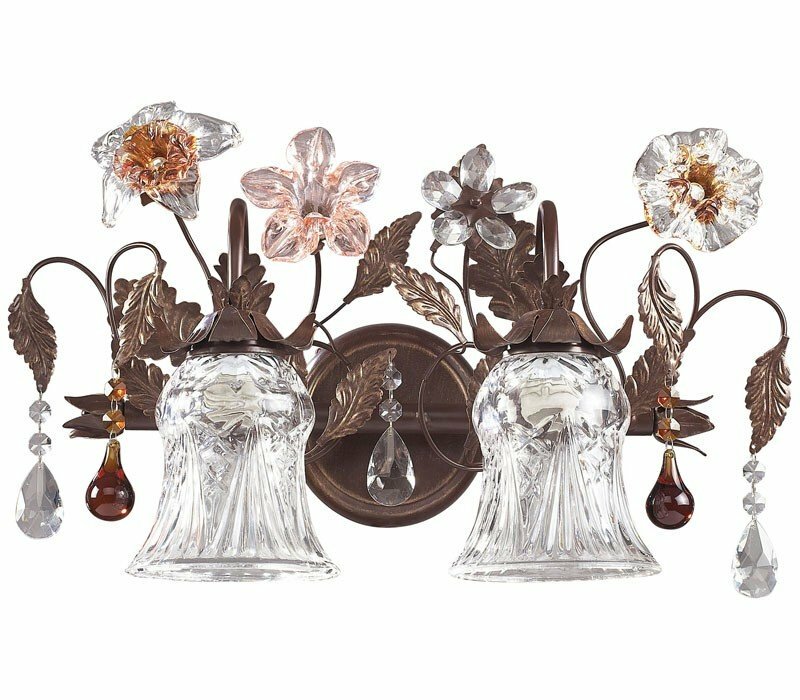 The ELK 7040/2 Cristallo Fiore collection Vanity Wall Lighting in Deep Rust uses Incandescent light output and brings Antique style. The total wattage is 150 and the voltage is 120 volts. 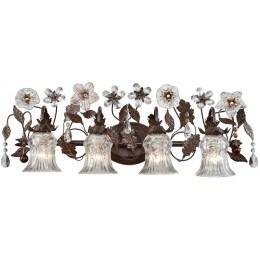 The ELK Lighting 7040/2 requires 2 bulbs (not included). 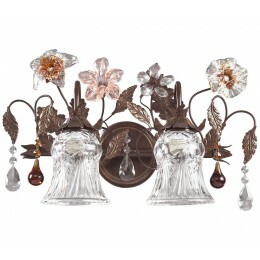 Additional Information: Shade-Hand-Blown Glass Florets with Crystal Accents.